When I was pregnant, I swore I would never share a bed with my baby. We planned to have her in our room for at least a year, as the American Academy of Pediatrics recommends, and to then make a final decision about her sleeping location. We're science people. We knew that sleeping in the same bed as our baby increased her risk for SIDS. So we were bound and determined to find another way. That is, until we went weeks without sleep, realized the science isn't as straightforward as it seems, and gained a healthy appreciation of how politicized all parenting decisions are. We Americans have a long and rich history of blaming mothers for everything. We also like to believe that nothing bad will ever happen to us. So when a child dies while sleeping, it's a lot easier to blame the mother than it is to call it a horrible and unpredictable accident. We tell mothers that crying it out will cause an attachment disorder, and then when we've convinced them of that, we change the "science" and insist that cry it out is the only way to get kids to sleep. We tell mothers that breast is best, but when real mothers have real breastfeeding problems, we tell them to give up. We insist that children should enjoy childhood. Then we shame mothers who don't start their kids on workbooks when they're six weeks old. We tell parents to rid their homes and yards of toxic chemicals because they might disrupt their kids' development and/or destroy the planet. Then we laugh at parents who develop a paranoid fear of "chemicals" and don't want to vaccinate. We tell moms to immediately regain their pre-pregnancy bodies, but to do so without ever taking their eyes off of their babies, and to never ever allow their diets to interfere with nursing. Sleeping is no different. We put parents into an impossible bind: tolerate endless months of sleeplessness and maybe get fired from your job or get into a car accident. Or bedshare with your baby and be shamed for putting your child in danger. Our current cultural moment emphasizes independence. We don't want to coddle children. We think they should be able to cry themselves to sleep, sleep through the night, and avoid expressing their emotions in a way that annoys adults. We also place incredible--and incredibly contradictory--demands on parents generally and mothers especially. So it's unsurprising that we want children to sleep alone, even if it means everyone in the house is miserable. Science is inherently political, particularly when exploring issues like sleep, which must rely on weak correlations, and for which it's impossible to control all the variables. It's impossible to get a truly scientific answer on sleeping arrangements. The American Academy of Pediatrics won't even give parents guidelines for reducing the risks of bedsharing. The message is clear: do what we say perfectly, or get no help at all. Also, you're a bad mother. When Athena was four months old, she began waking up every 20 minutes. All. Night. Long. It took anywhere from 20-60 minutes to get her back to sleep. We tried everything. Nothing worked. This kid was bound and determined to stay awake. Then one night, she fell asleep while I nursed her in bed. And she slept for three hours. For two parents who had to work the next day, who were so sleep-deprived that they routinely left the car keys in the car without turning it off, it was a miracle. I was ravaged by guilt. The parenting groups I participate in either insisted that co-sleeping is always safe (ridiculous and untrue) or that co-sleeping parents are monstrous murderers, and that nothing in the world could be more dangerous. This in spite of the fact that car accidents are a leading cause of infant deaths and exhaustion is a major risk factor for car accidents. I decided to dig into the research myself. This study found that bedsharing increased the risk of SIDS, but primarily in babies whose parents slept on the couch with them--not in actual beds. This study found that bedsharing increased infant arousal during sleep. Some research suggests that sleeping too deeply causes SIDS, so the researchers speculate that bedsharing could be protective. However, the sample size was far too small for the study to be considered reliable. This study found that almost half of babies who died of SIDS were bedsharing. However, the primary risk factor was not bedsharing per se, but sleeping under covers or on a too-soft surface. This study found a link between bedsharing and SIDS, but found that the risk decreased when parents did not smoke or use drugs. This analysis, which combines a literature review with anthropological data, suggests safe bedsharing practices might actually protect babies from SIDS. Most research I've been able to find doesn't do a great job separating co-sleeping from other risk factors. In other words, how do healthy infants whose parents practice safe sleeping (no sheets, no blankets, no pillows, no smoking, etc) fare with bedsharing? And what about babies over six months, who are almost never the subject of these studies? I can't answer those questions, and no one I've asked has been able to cite quality research. Everyone seems to just Google their preferred belief, find weak evidence for it, and then fight to the death. So I don't know what the right thing to do is. I do know that our expectation that parents sacrifice sleep for months or years is unreasonable. Particularly when we offer them no actual research-based support for non-cosleeping strategies that can help babies sleep. I think ultimately, the SIDS paranoia is part of our cultural commitment to terrifying mothers into compliance. Are there risks? Maybe. They're likely overblown, though, and we have to acknowledge the reality that mothers cannot be perfect. Why can't pediatricians accept this, and offer advice for reducing the risk of cosleeping? 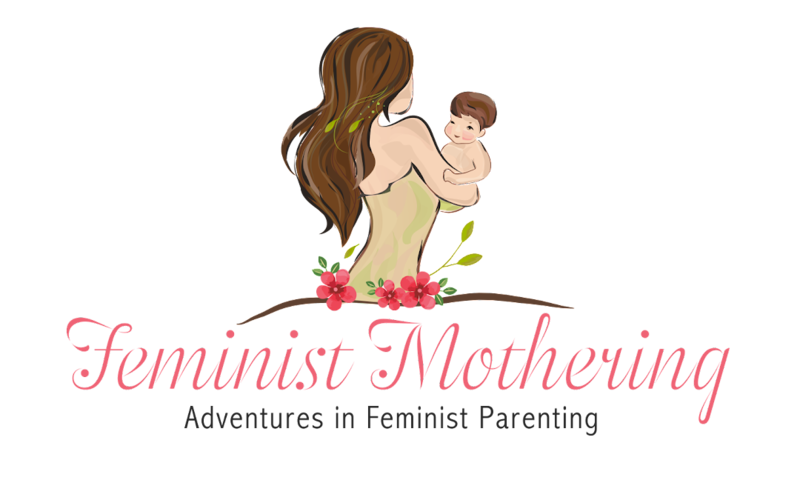 Like so many other frustrations of parenting, the answer begins with sexism, and ends with the demand that mothers always be perfectly compliant. I moderate comments. Don't waste your time leaving a comment that I won't publish. All comments are subject to my comments policy. I welcome open discussion and differing opinions, but not abuse. Please Don't Call My Daughter Pretty. Share book reviews and ratings with Zawn, and even join a book club on Goodreads.